A leading Chinese newspaper, Global Times, which is state-run, described the air corridor, which opened last week, as an attempt by India to counter China's ambitious $54 billion economic corridor that runs through Pakistan-Occupied Kashmir. 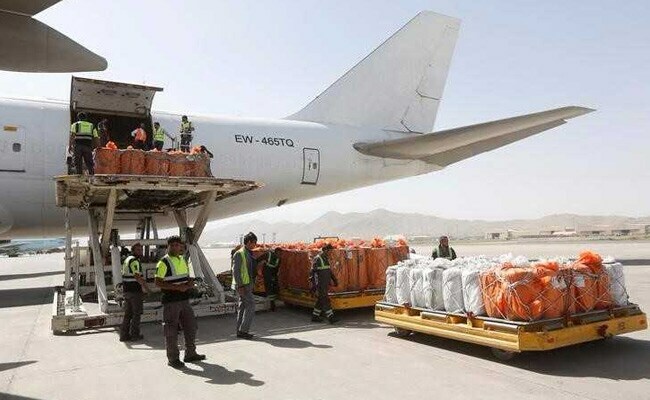 A new air cargo corridor that allows India and Afghanistan to trade goods while bypassing Pakistan has been attacked by the media in China, which is a long-term ally of Islamabad. A leading Chinese newspaper, Global Times, which is state-run, described the air corridor, which opened last week, as an attempt by India to counter China's ambitious $54 billion economic corridor that runs through Pakistan-Occupied Kashmir. The air corridor, the newspaper said, exhibits India's "stubborn geopolitical thinking." The air freight corridor is designed to boost bilateral trade and give landlocked Afghanistan more access to the huge India market. So far, Pakistan has imposed strict limits on the shipment of goods by land between India and Afghanistan. India has objected to China's "Belt and Road" project, a massive initiative to open land and sea corridors linking China with the rest of Asia, because a key part of the construction of road and rail networks runs through Pakistan-Occupied Kashmir. In a huge snub to China, India did not attend a summit in Beijing earlier this month that saw 60 countries including the US attending the session on President Xi Jinping's signature project. 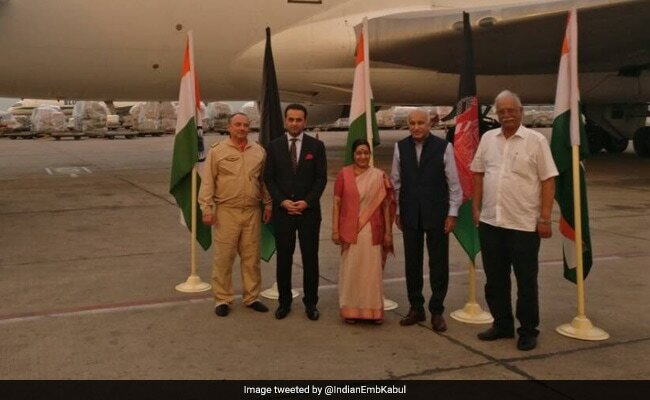 Foreign Minister Sushma Swaraj received the first flight of the India Afghanistan air corridor last week. The government said the China-Pakistan Economic Corridor (CPEC) violates India's territorial sovereignty. "No country compromises with its sovereignty for the sake of trade and commerce interests," said Ram Madhav, a top leader of the ruling BJP. The Global Times said, "No matter how India is thinking, if the country really wants to participate more in regional economic development, it should not bypass Pakistan, which offers the most efficient and cost-effective land route," it said. It also advised, "In this sense, the Belt and Road Initiative has actually created the opportunity and platform for co-operation between India and Pakistan, and now we will see if India can eventually seize the opportunity." India is also working with Afghanistan and Iran for the development of the Chabahar port, which, again, would allow it to open a transport corridor to the resource-rich countries of Central Asia that bypasses Pakistan. Located in Iran, the Chabahar port lies barely 60 miles from Gwadar port in Pakistan which is being developed by China.